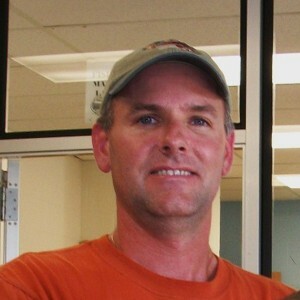 Jeff Kaiser has been actively involved in the field of aquaculture since 1992 and has worked at the University of Texas Marine Science Institute’s Fisheries and Mariculture Laboratory (FAML) in Port Aransas, Texas since 2000. As a Research Scientist Associate, he manages the daily operations of the facility, with a focus on maintaining the recirculating systems, overall fish husbandry, production of live feeds, and spawning of the various marine species on site. Species he has maintained in tank systems include red drum, southern flounder, cobia, common snook, pompano, pigfish, tripletail, red snapper, gray snapper, and Atlantic croaker. He has been involved in successful and pioneering work with cobia and southern flounder in particular over the years and has authored or co-authored numerous manuscripts with these species and presented much of this data at conferences. In addition to the laboratory setting, he spent several years on projects utilizing cages and offshore platforms conducting aquaculture research at totally exposed sites in the Gulf of Mexico. These past efforts resulted in the first, and only, marine fish that have been stocked, grown, and harvested in the Gulf of Mexico to date.